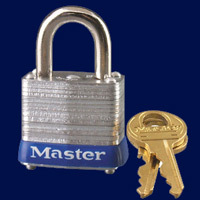 Secure items of all shapes & sizes in office lockers of all shapes & sizes. A personal locker can safely keep your office secrets. Let's see what's behind wall locker door number 2! Nix the clutter and bring order to your office with commercial lockers. 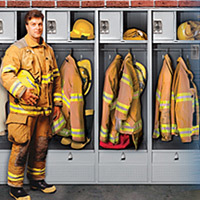 A few good storage cabinets & lockers can benefit any facility, anywhere. Employee Lockers make the world a less scary place. 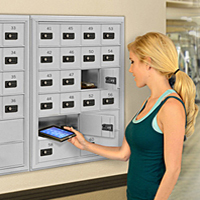 Help protect your employees and visitors by providing a safe, secure space furnished with personal storage lockers. Our lockers are not just for commercial offices. You can find them in schools and colleges, daycare facilities, healthcare facilities, sports and athletic facilities like public pools, spas or gyms, and hospitality facilities like hotels and restaurants. You can find them in amusement parks, country clubs, military installations, police and fire stations… the list goes on! Everybody has personal items that can be at risk for theft or damage in public spaces; therefore, everybody can benefit from having a locker. 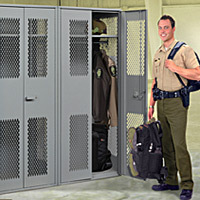 We offer a complete line of metal lockers designed for heavy duty use and storage. Most are engineered as “starter and adder” units, so you can link multiple units together to create an entire system in a larger setting. Scroll down for a few tips on planning, arranging, and purchasing lockable lockers. Whether it’s for a corporate office space where professionals need to secure their valuables while at work, a health facility where people will be bathing and changing, or an educational environment with students, teachers and administrators, proper locker room design is important. Make the most of your available space, while keeping in mind the importance of providing ample room for freedom of movement near and around all storage lockers and cabinets. You want to thoughtfully create a space that has a proper balance between functionality and comfort, optimized for each specific use. A school locker application requires a different approach than, say, a precinct police locker. 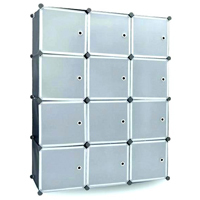 Optimal design for gym lockers will differ from a set of industrial lockers located on the factory floor. The position and layout of an outdoor storage locker will no doubt require a different approach than a bank of chemical storage lockers. First things first. Measure out the room you have available and estimate the number of people you’ll need to accommodate within that space. Next, look around the room and identify the fixed elements that you’ll need to work around. Where are the doors? You should plan for clear pathways to all entrances/exits. Are there any structural columns? Try to keep the locker furniture (lockers or benches) connected or in line with these vertical obstacles, instead of arranging items in a way that leaves a big post in the middle of a walkway. If you plan to install wall mounted lockers, you’ll need to consider any elements on the walls that should not be blocked like windows, light switches, thermostats, outlets, vents for HVAC, etc. Identifying location limitations will help determine the ideal quantity and size of storage cabinets & lockers to purchase. Will you need seating areas, and if so, how much? Well, it really depends on how your locker room area will be used. If it is for a corporate office or an educational facility where people will only use them to store personal items like valuables, books, maybe a snack, then they won’t spend enough time near their lockers to need a place to sit down. You can likely skip the seating entirely in these kinds of environments. 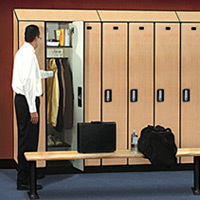 However, if you’re planning to purchase locker room lockers for an athletic or health facility, or a police or fire station, where the users will also be changing their shoes or clothing, you’re going to need to provide space for some sort of changing room benches or island seating, evenly distributed and within proximity to individual lockers. Depending on the shape and size of your room, there are three most common starting points for a successful changing room or locker room layout. You can arrange all the lockers flush up against the walls with locker storage bench seating in the center of the room, you can place clusters of back-to-back units in the main open area with aisle ways in between, or you can do a combination of both. Keep in mind the importance of adequate space for pathways around and between every single locker group, row, or section. Public building codes typically require minimum dimensions for common aisles and the proper and safe flow of foot traffic. People need these spaces to comfortably move around, as well as to safely and quickly exit the room in case of an emergency. 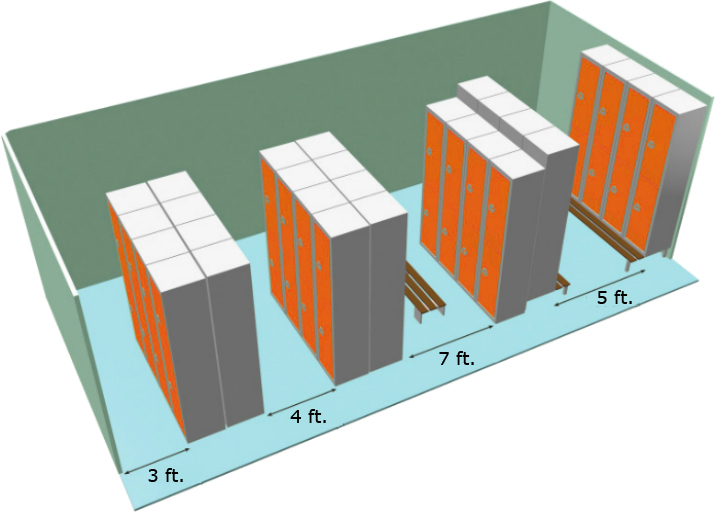 Look at this sample locker room layout, which shows the minimum recommended amount of space for pathways between a row of lockers and a wall, and between two rows of lockers facing one another, depending on what type of seating option may be included. While these minimum recommendations are usually adequate, check with your building manager to see if there are any additional requirements you need to meet. For example, if your facilities must be ADA compliant, the minimum dimensions will need to be wider. Feel free to call our space planning pros to assist with your project if needed. Before you start moving in all the new furniture, take a look at your floor! Is it the optimal material for the activities that will be happening in the room? Will it be hygienic? Will it be safe? If not, save yourself a headache and address that first, long before the furnishings or the people arrive. If the work lockers are anywhere near showers, a pool, even sinks or toilets, you should stick with concrete or tile flooring, ideally with a rough texture or special coating that will reduce slipping and tripping hazards. Alternatively, you can look for anti-slip matting to cover the pathways where foot traffic is most likely to occur. These types of floors can prevent mold and mildew build-up and be easier on maintenance crews. Adding an anti-slip feature will help keep your people safe and will help protect you from potential injury claims. However, if you are providing office lockers to your employees or guests for general storage in an area that is not near water hazards, you may want to consider installing commercial grade office carpet ideal for frequent foot traffic areas. These are available either as carpet floor tiles for a somewhat quicker and simpler installation process (not to mention easier to cut and replace stained or damaged areas), or as broadloom carpet rolls. Now that you have a basic layout plan to make your room work for your needs, it’s time to determine the ideal storage cabinets & lockers you should purchase to furnish the room. This type of furniture comes in various sizes, shapes, and materials, all benefitting different needs or goals. The standard locker size is 12” deep but if your users will be storing large bags or clothing on hangers, it’s best to look for units that are 18” deep. As for the width or height, it truly depends on your facility and the types of things your users may need to store. 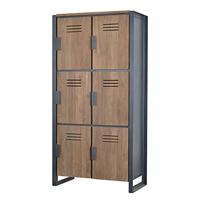 Gyms or spas would likely need large lockers or wide lockers with compartments suitable for storing a gym bag along with additional garments. 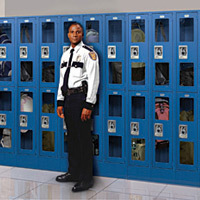 Facilities requiring changing room lockers for employees that need to store dress uniforms would need to supply tall locker spaces with a rod inside for hangers. Amusement parks that provide personal effects lockers for people who want to ride the upside-down roller coaster without losing their keys, wallet and sunglasses can easily get away with much smaller storage lockers. If keeping an easy to clean locker area is a priority for you, look for design elements that will assist you in that goal. For example, many industrial lockers come with legs that raise the units off the floor about 5-6 inches, which makes sweeping underneath a breeze. If you already have existing units without legs, you can look for locker stands to purchase separately that will serve the same purpose. Sloping-top lockers are a popular hassle-reducing feature. The downward angle prevents people from placing – and then promptly forgetting - personal effects on top. An extra advantage to these kinds of locker tops, you end up saving space in that extra storage locker you use for managing lost and found. Bonus tip: A handy can of touch up paint will help keep each metal storage locker looking shiny and new. Metal units are the most common kind of locking storage units, because they offer the greatest strength and security compared to those made from particle board and plastic laminates. 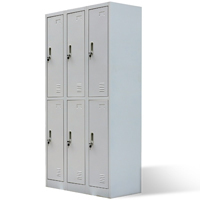 The best locker brands generally use heavy gauge steel. If your plans call for outdoor lockers, make sure you find units that are rust proof. Additionally, an outdoor storage locker should never be the mesh or ventilated styles, unless you want to face angry users complaining of soggy belongings on rainy days! 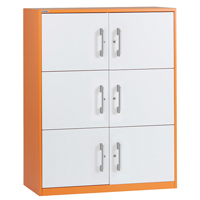 Most steel locker products on the market are stocked in neutral paint options of grey or tan. However, if you want to go wild and add a flash of corporate colors or team spirit, it can be done! Ask your project manager (or your furniture dealer if you’re not purchasing from us) what options are possible, and they’ll be happy to provide you with paint samples. Just be prepared to wait a few weeks longer for a custom color upgrade. While metal units are the most popular, if you have a design aesthetic or a budget in mind that leads you to choose plastic laminate or particle board, there is certainly an array of options in these materials too. Just be mindful of your users, the items they will likely be storing, and how secure the area needs to be. Many lockers have completely solid walls and doors. These are generally used in facilities where the items being stored need to be completely private, secure, and have no need to “breathe”. If you have a storage area where items need to be safe and secured in a locked unit, but they need to be highly visible (either for convenient access or some other security reason), you should look for a wire mesh room locker that look more like a cage with a lock on it. Ventilated lockers, on the other hand, offer the security and privacy of solid walls, but include small air vents either on the sides, or at the top and bottom. These vents are too small to invite prying eyes or hands, but are large enough to allow air to flow through the interior. Vented lockers are a great choice when your users need to store electronics that can overheat, or damp/wet items that can cause a buildup of odors or humidity. Purchasing Tip #5: They call them LOCKers for a reason! Let’s face it; if a personal locker isn’t keeping its contents safe and secure, it’s not doing its job. You have a few options when it comes to how exactly you want to keep those items locked up, and the right choice depends on the nature of the relationship you have with the users (employees, customers, or students in your care? ), and the amount of control you may need to keep or relinquish for liability purposes. First, you’ll need to decide between cam locks or padlocks. 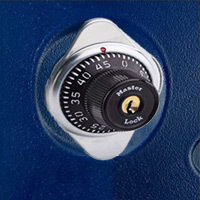 A cam lock is a small integrated metal cylinder built into the locker door, connected to an interior latch that holds the door locked tight. When someone opens the lock, it turns the latch and the door can be opened. 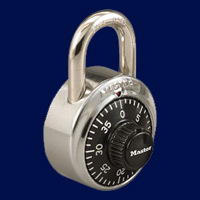 A padlock is a detachable kind of lock that is almost always purchased separately and owned by the user. 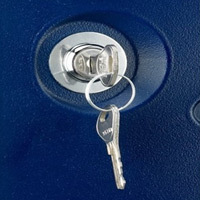 It has a U-shaped bar that fits around or through an opening on the locker unit that blocks the door from being opened. Depending on your application and environment, consider purchasing cam locking storage lockers if you want to maintain obvious ownership and control or lockers that accept padlocks if users will have more privacy and autonomy. Regardless of which you choose, both styles offer a few options for locking method, including keyed and combination style. 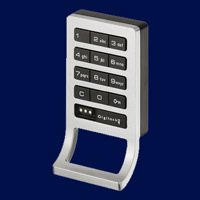 If you want to get REALLY fancy you could even find metal locker locks that include keyless pin code access, or card readers and RFID locks. If you plan to use lockers with cam locks and/or choose to manage or maintain control over your lockers, make sure you are diligent with keeping a copy of all keys (a master key can be a life saver! ), or a record of all combinations. Be prepared to deal with people needing your time and attention regarding misplaced keys and forgotten combinations. Hang a “Locker Room Etiquette” sign near the entrance that encourages the users to practice good habits. For example: Please turn off or silence all devices while they are stored in your locker. Please occasionally wipe down the shelves and walls of your locker with antibacterial wipes or a damp cloth. For situations where the lockers are unassigned and designed for single, one-time use: Please always lock your unit, so it’s easier for others to quickly determine which ones are still available (nobody has time to open a handful of lockers only to find them occupied). Have a locker policy with a signed agreement kept on file. Trust us, it’s not overkill. It’s in everyone’s best interest to be on the same page about acceptable behaviors, practices, and expectations. If you need a template or model, Harvard Medical School actually has a great locker policy and agreement. If you’re looking to create a truly impressive space and you have it in your budget for an award winning locker room, you can find great inspiration for fancy Corporate Locker Rooms!